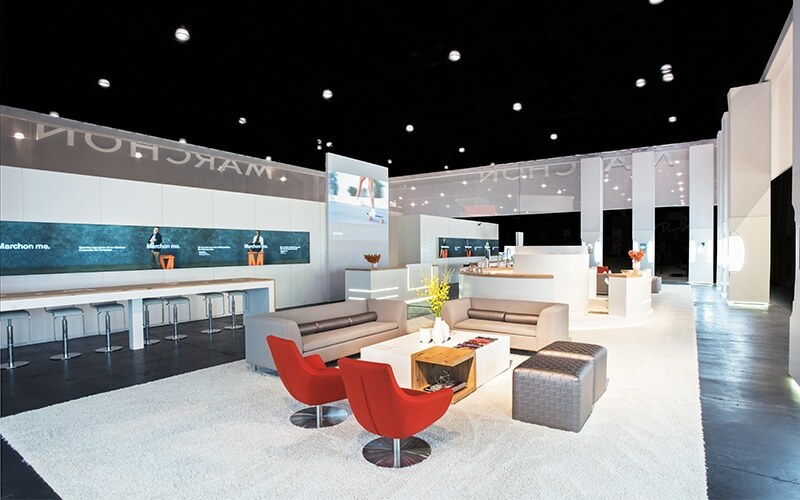 product-specific page would automatically appear, making the trade show booth a unique and memorable experience. This new booth came complete with a contemporary lounge in front, fully equipped with a reception station that was also an elevated DJ booth, two charging stations, and intimate seating where guests could relax and enjoy the trendy atmosphere around them. 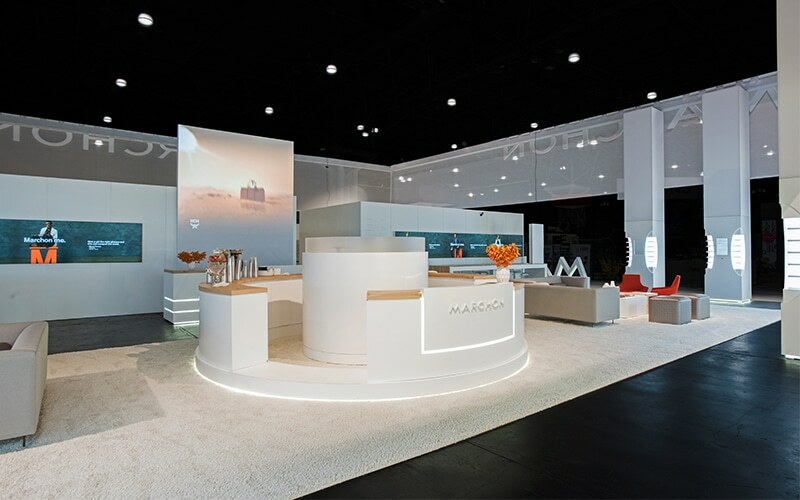 In the back, we tucked away an expansive and luxurious selling space, which was a major upgrade for Marchon. This custom exhibit was the result of a close collaboration between the Marchon and Gilbert teams, and is just the latest example of the incredible work we are able to do together.